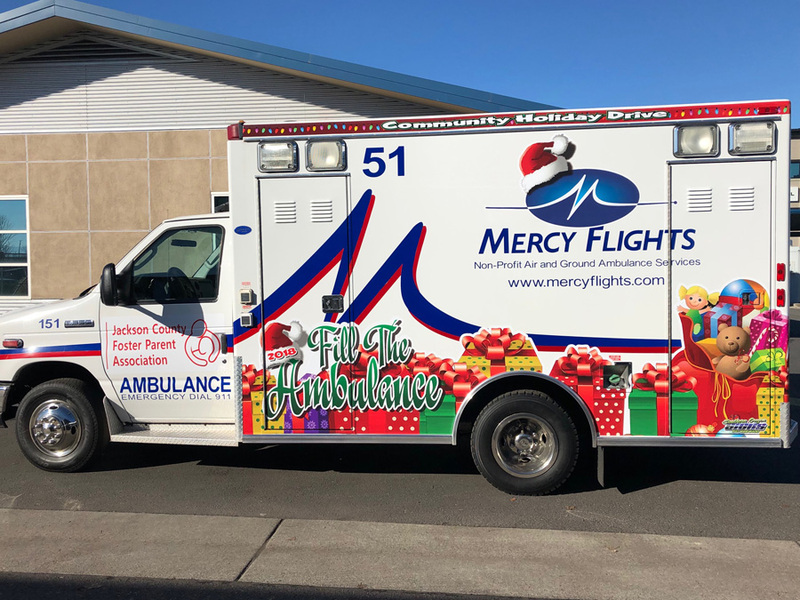 Medford, OR – December 3, 2018 – Mercy Flights has added a new sleigh to Santa’s fleet and it looks a lot like an ambulance. 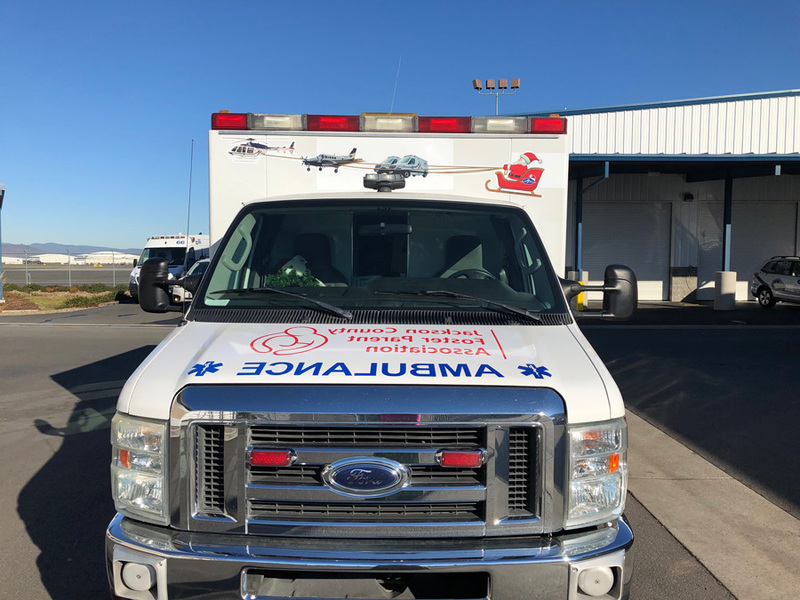 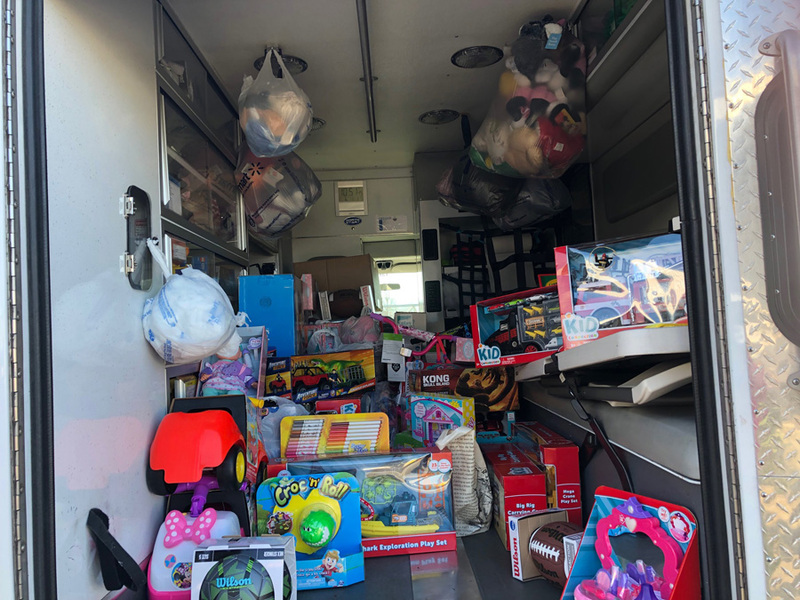 Employees of the local nonprofit air and ground medical transport company came up with the idea to fill a spare ambulance with donations of clothing items, nonperishable food and new toys for Southern Oregon foster kids and families. 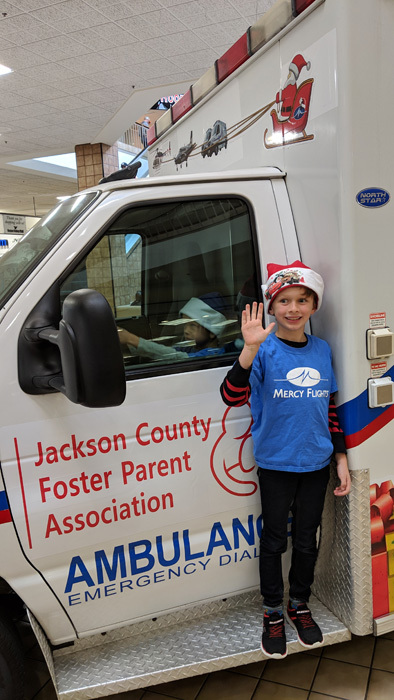 The holiday drive is taking place to benefit Jackson County Foster Parent Association. 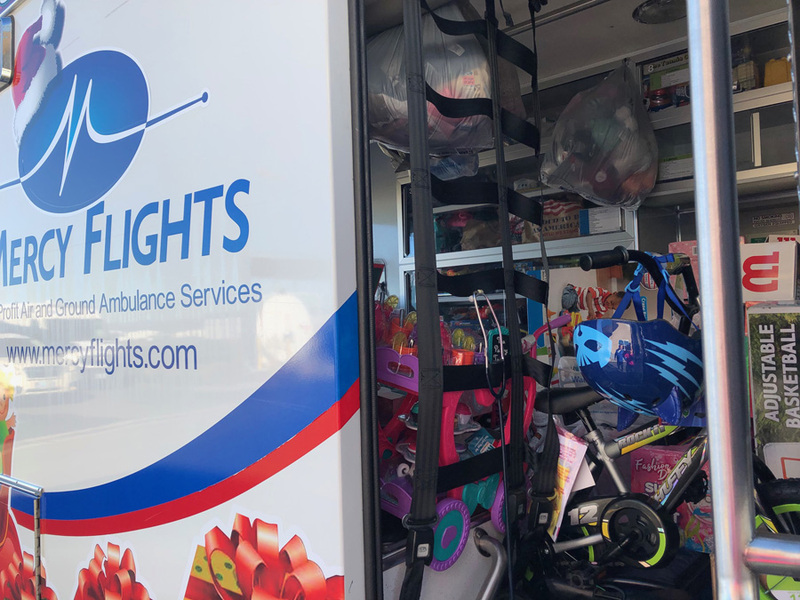 Community members are invited to bring donations to Rogue Valley Mall on December 8th and 9th from 10 am to 2 pm or visit other drop off locations (see below).